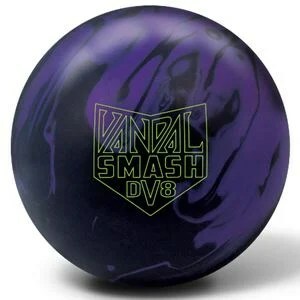 Description: The DV8 Vandal Smash bowling ball uses the Vandal Asymmetric Core made famous in the original DV8 Vandal. The high differential creates maximum flare for a strong roll that reads all parts of the lane. The Composite Solid coverstock, finished at 500/4000 Grit Siaair, gets through the heads cleanly, owns the midlane and finishes with an extremely strong but controllable backend reaction. Watch The Reaction Video Go To Website! This review was from our personal observations and you may get a different result do to all the many factors involved in bowling. In addition, Affiliate links are used on this page and we are a paid affiliate.